Paul in his Tekk Toad Wading Jacket. Fish like foul weather, and quite frankly, so do I. On foul weather days I usually find myself alone on the water and I enjoy that solitude. What I don’t enjoy is being cold, wet and potentially hypothermic. If you don’t like the rain as much as I do, quality rain gear is essential if you want to turn a ruined day into one of your most productive days on the water. While companies like Simms, Orvis, and L.L.Bean make rain gear that will last through many seasons, in today’s economy, it’s hard for many of us to justify spending $200 or more on a jacket. While looking at some high-end jackets on Amazon last fall, I came across the Tekk Toad Wading Jacket by Frogg Toggs. At just under $50, it seemed like a solid option for a backup piece of rain gear. When the jacket arrived, I was first impressed by its fit. It was true to size with plenty of space in the shoulders for unhindered casting. While it is slightly too short to be worn without waders, when it is worn with them it rides high enough to keep the bottom pockets out of the water while wading in waist-deep water. Its numerous and appropriately-sized pockets nearly eliminate the need for an additional pack or vest. 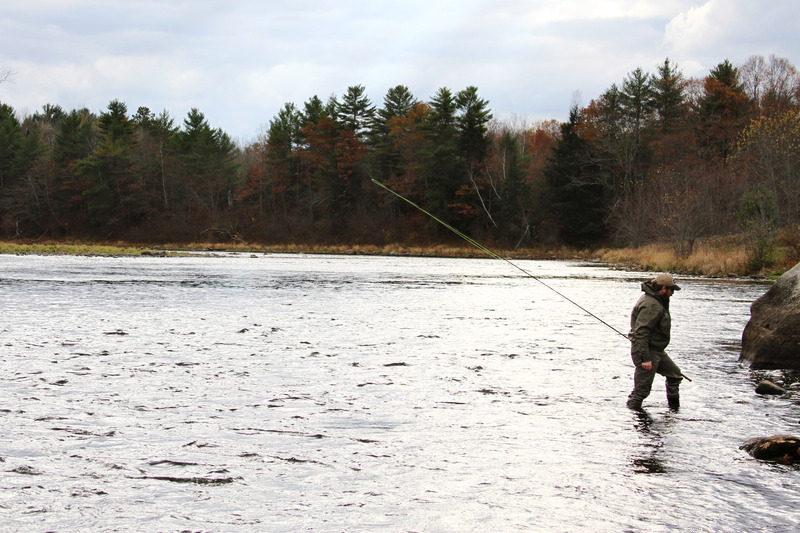 For instance, during most of my winter fishing, I carried three fly boxes, leaders, indicators, a spare spool, multiple spools of tippet, forceps, nippers, camera, phone and sink tips in the jacket, all without limiting my range of motion. The wrists can be sealed by tightening the neoprene cuffs. This feature keeps your shirt sleeves dry in all kinds of weather, but unlike similarly designed cuffs, it will not keep the water out if submerged during the landing of a fish. I have used this jacket for about six months and have remained bone dry while doing so as long as I keep my forearms out of the river. I am slightly concerned that the Frogg Toggs material will not hold up to much abuse from brush and briars, but only time will tell whether my suspicions are based on fact. If you are in need of an inexpensive backup or a low-cost primary piece of rain gear, I would give this jacket a try. It can be found at Amazon for a great price. How about you? If you already own one, purchase one in the future, or just want to give us your two cents, let us know what you think by leaving a comment. Hi just wondering after 4 years you have any more to say about the jacket?